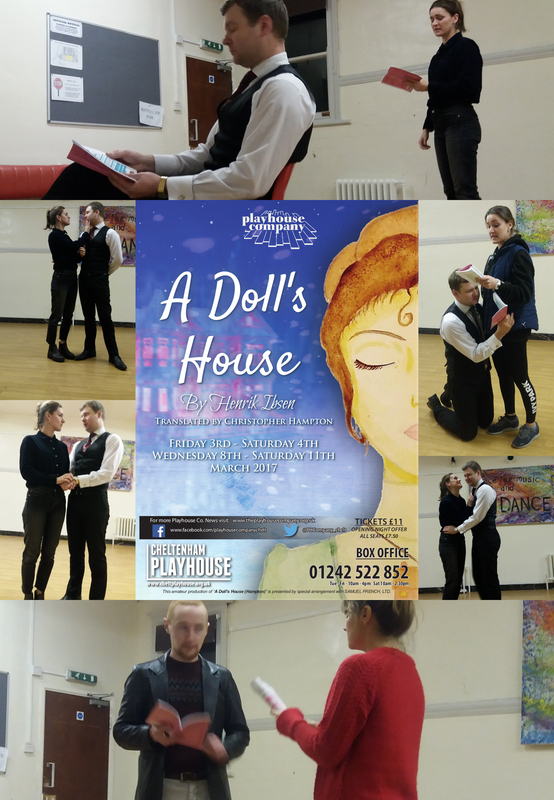 It's time to get started on our March production of A Doll's House by Henrik Ibsen, so come on down to our read-through in the Cheltenham Playhouse, Montpellier Room on Thursday 17th November at 19:30 to see what it’s all about. Auditions will be held the week following on the 22nd and 23rd November at 19:30 in the Cheltenham Playhouse, Pittville Room. For those who cannot make the read-through or who would like to better understand the play before-hand, take a look at this fabulous version starring the incomparable Sir Anthony Hopkins. Mauritius Review: "another piece of top-quality theatre"
"... join me in congratulating the capable, five-strong cast and director Lloyd Spencer on another piece of top-quality theatre from The Playhouse Company", say GloucestershireLive in their positive review of Mauritius. Read the full review here. There are still four more opportunities to see this piece of "top-quality theatre", so don't miss out. Book your tickets now. How far would you go to protect a priceless stamp collection? 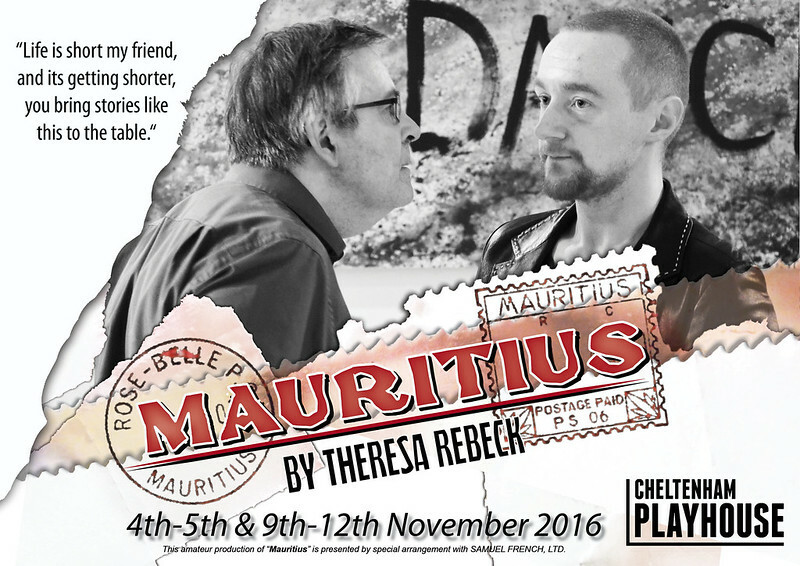 Don't miss GloucestershireLive and The Gloucestershire Echo's preview of Mauritius; opening this Friday 4th November at the Playhouse Theatre. Book your tickets online, now! With only a week of preparation remaining before Mauritius opens on 4th November, your helps is still needed! There are a number of evenings where we require help on the bar. Helping on the bar is a great way to get involved, to meet new people and is always a valuable contribution. Training can be provided if you've not been behind the small Playhouse Lounge Bar before. If you can help, please get in touch ASAP using our contact form, with your available dates. We also need your support in the audience! So book your tickets (available online, or through the Box Office) and spread the word. We don't want anyone to miss out. 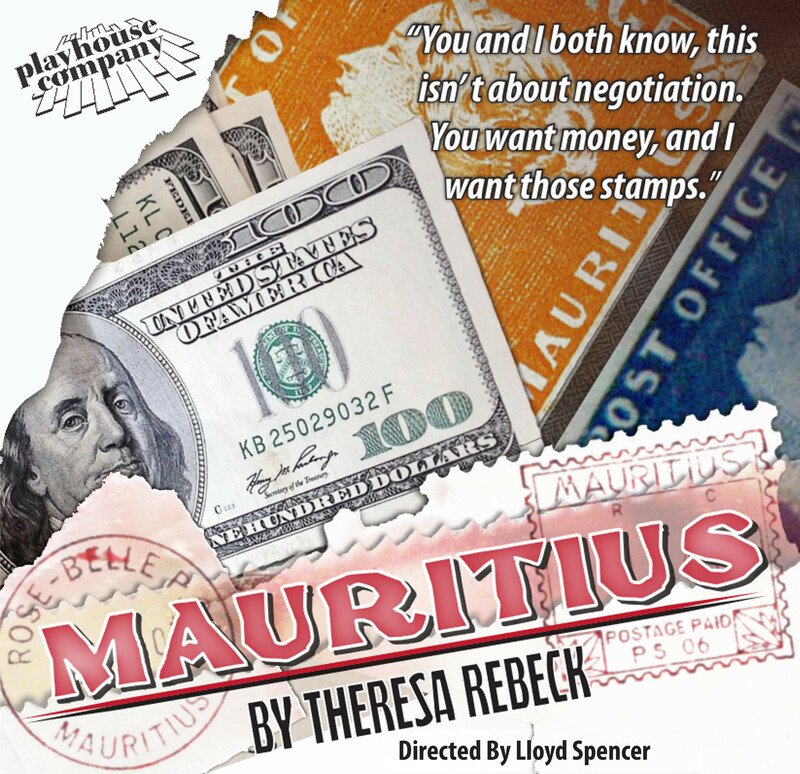 Mauritius reveals the dark and seedy underbelly of the stamp collecting community that you never knew existed... Full of tension, betrayal and manipulation, carried off by our superb cast - this is a quality piece of Theatre that you shouldn't miss! Contains Strong Language. Mauritius: in need of a good fight! With summer coming to a spectacularly warm end and November fast approaching, the Director of our Autumn play, Mauritius, is in need of a fight choreographer. There are a number key moments in this play that involve physical altercations. Whilst nothing too complicated, we are keen to ensure that these scenes looks as realistic as everything else and of course remain safe! So, if you have any experience in choreographing fighting, however basic, please get in touch using our contact form, ASAP. This Thursday 14th July at 7:30 pm we host our annual 'Directors and Programme Planning' meeting to discuss possible future productions for our 2017 season and beyond! Come along and suggest the plays you think the company should present on the main stage or as rehearsed readings. If you'd be interested in directing something, even better! Held in the Joan Cross Lounge at the Playhouse Theatre, members and non-members are equally welcome. Can't make it on Thursday, but have a suggestion? Please message us in plenty of time before the meeting and we will ensure your ideas are included. Respected director, Mike Charlton, is hosting a Company Night this Wednesday 6th July! Mike will lead a play reading of the farce: Run For Your Wife, by Ray Cooney. 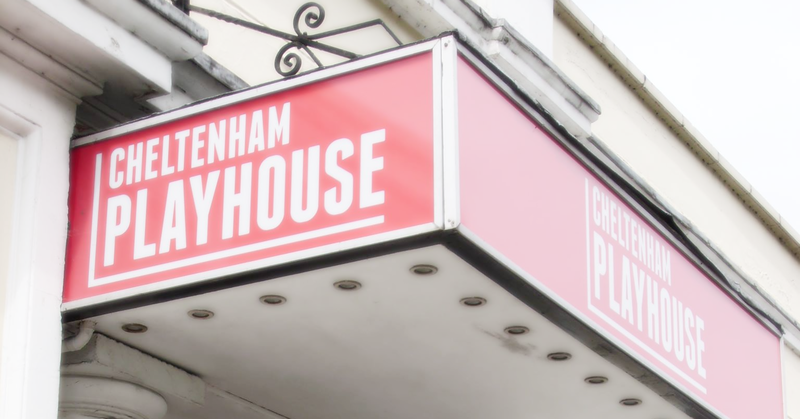 So free-up your evening and join us in the Playhouse Theatre Green Room bar from 7.30pm. MAURITIUS: Reading, Auditions and Online Booking! Anger, frustration, deceit and betrayal. No we're not talking about the current state of UK politics, but rather about "Mauritius", a dark comedy/crime thriller by Theresa Rebeck and our autumn production. Following a reading on Tuesday 12th July, 7.30pm, we will be hosting auditions on Monday 18th & Tuesday 19th July, 7.30pm; all in the Montpellier Room at the Playhouse Theatre. Reading's are an excellent opportunity to discover more about the play & it's characters in advance of auditions. You're welcome to read a part, or simply listen in - so why not come and join us? Tickets to the show are now available online! Earlier today, Elizabeth Maisey - the director of our current production, The Final Test - spoke with Nicky Price on BBC Radio Gloucestershire about the play. Liz gives us a small taste of the plot and discusses the wonderful reactions we have had from audiences. The interview is available on the BBC iPlayer for the next few weeks - but don't wait so long to get your tickets! There are only a few performances remaining, from this Wednesday 22nd thru to Saturday 25th. Click here to book online, or contact the Playhouse Box Office on: 01242 522852. Limited tickets will also be available from the box office on the night. Now less than a week away from opening night of The Final Test; the cast remain hard at work perfecting their performance in rehearsals. 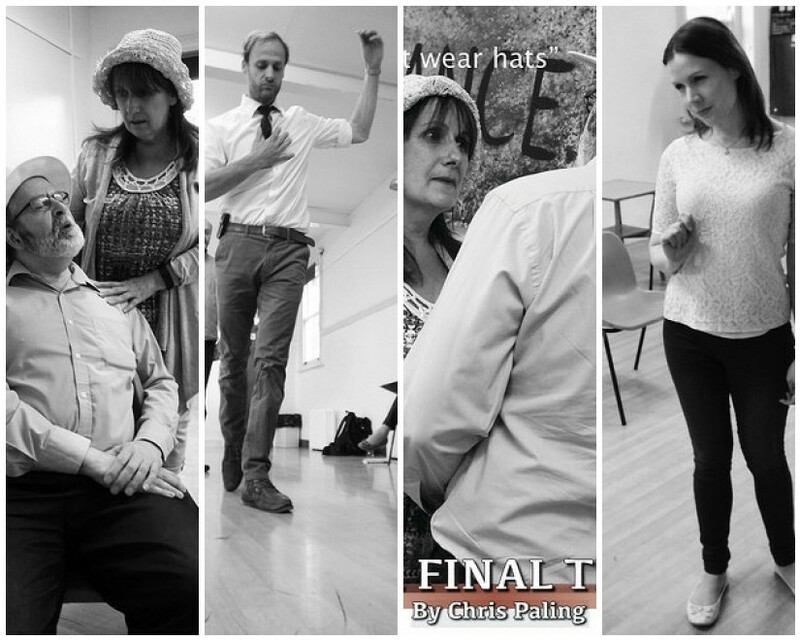 Glimpse into the rehearsal room by flicking through our freshly uploaded rehearsal photos now available in the Final Test photo gallery.